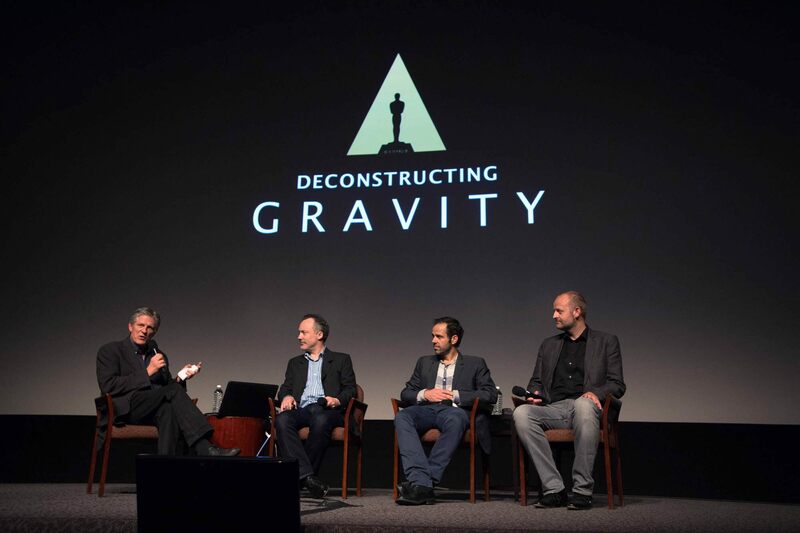 On May 12, 2014, the Academy journeyed to a new realm of moviemaking with an exploration of the innovative techniques behind Gravity (2013), winner of seven Oscars including Directing, Visual Effects, Film Editing and Cinematography. 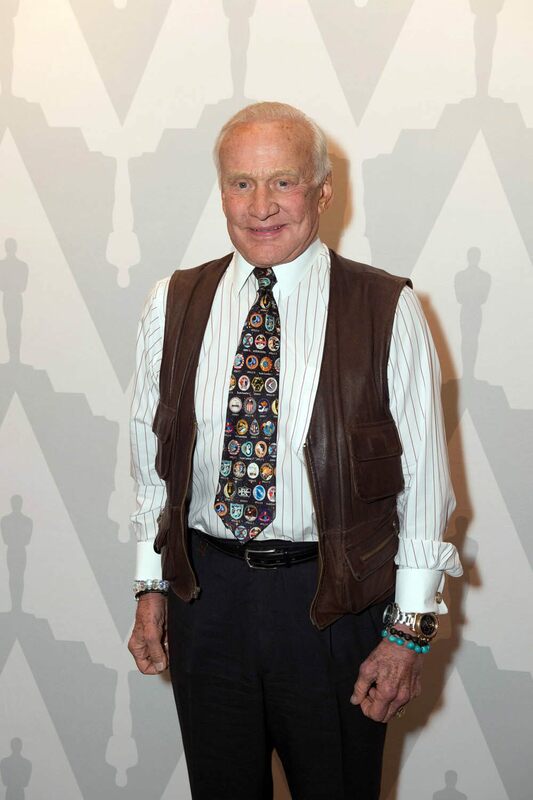 Created over an intensive period of more than four and a half years, Gravity redefined the depiction of outer space on film with its blend of harrowingly realistic effects and human drama. 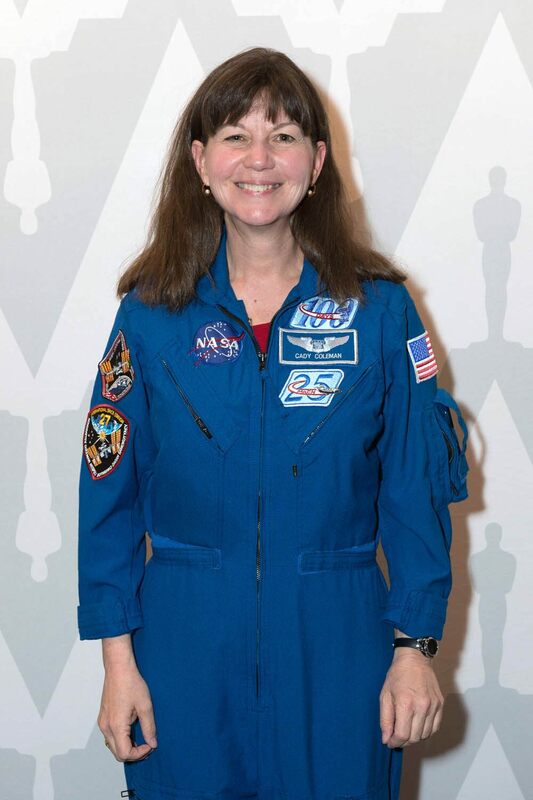 Astronaut Cady Coleman kicked off the event, explaining to the sold-out crowd at the DGA Theater on Sunset Boulevard her own connections to the film by recalling her service on the International Space Station where she remotely advised actress Sandra Bullock on how to move in a weightless environment. Coleman also lauded Gravity for showing girls that they truly could become anything, with not even the sky, in this case, being the limit. Academy President Cheryl Boone Isaacs introduced the host for the evening, Bill Kroyer, an Academy governor representing the Short Films and Feature Animation Branch and co-chair of the Academy’s Science and Technology Council. 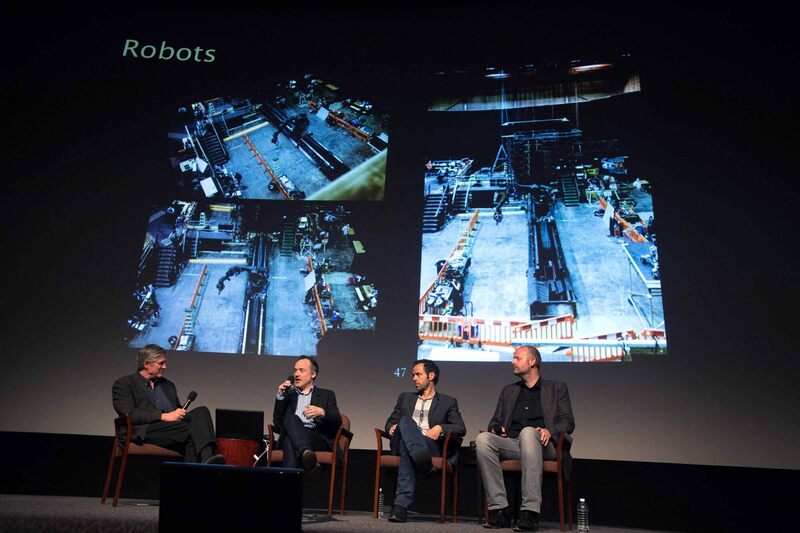 Kroyer explained that these Sci-Tech Council Public Programs were designed as “deep dives” to explore how groundbreaking films like Gravity might fit into the history of motion pictures, as well as enlighten Academy members and fellow filmmakers how evolving technology is changing the industry. 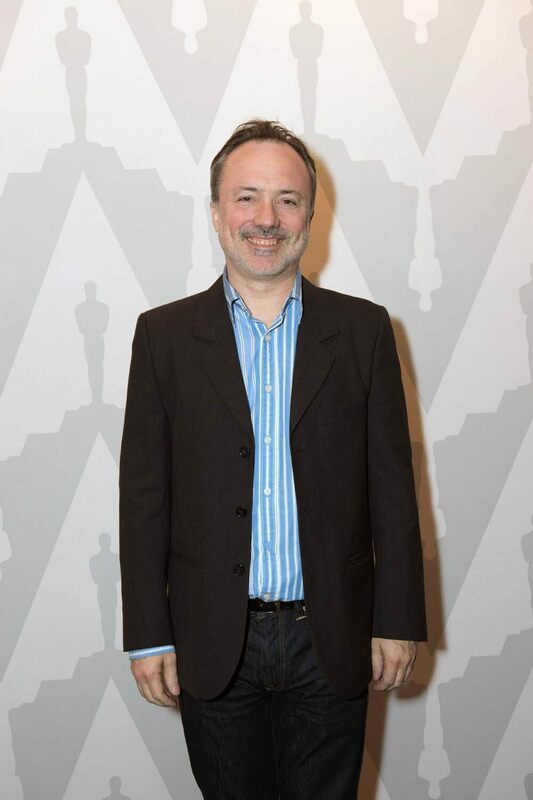 He quoted director Alfonso Cuarón in pointing out the unusual situation of having to complete post-production on the film before he could begin preproduction. 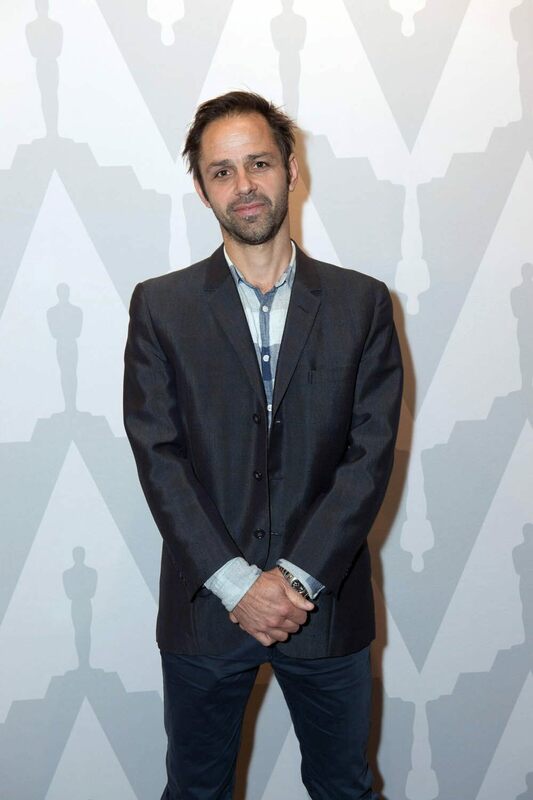 The three guests for the evening were the film’s Oscar-winning visual effects supervisor Tim Webber, Oscar-winning film editor Mark Sanger, and animation supervisor Max Solomon, all of whom had previously worked with Cuarón on Children of Men (2006). 70 percent of Gravity was composed of a mere 17 shots. Each shot,however, consisted of multiple elements - live action, animation, invisible edits, and other forms of cinematic wizardry that were combined to create a seamless illusion of motion in space. 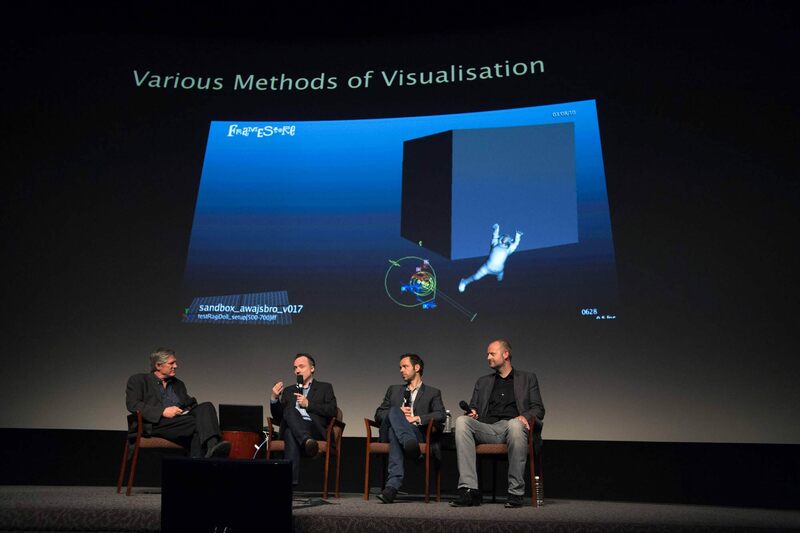 The focus of the presentation was exploring the extensive use of previsualization, or “previs”, the process of creating “simplified’ computer imagery that provides a visual foundation for all the work that follows. 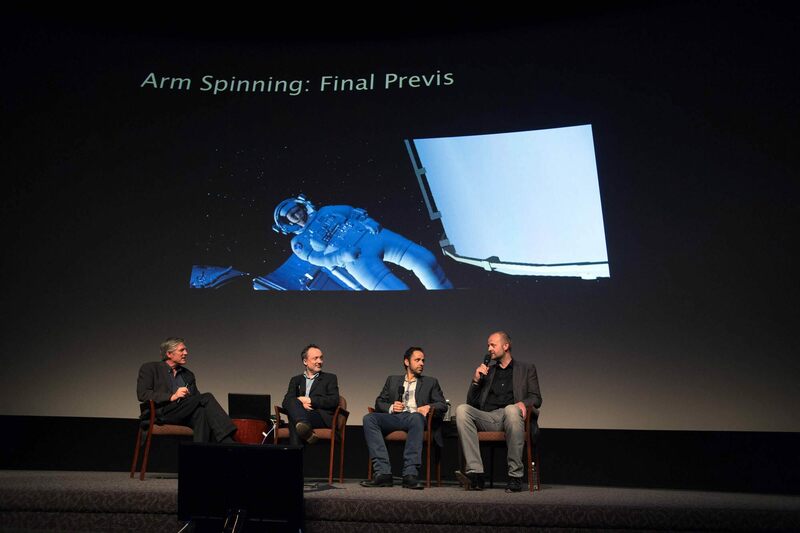 One form of previs is “pitchvis,” and Max Solomon showed an early CG-animated sequence that was the very first visualization of the film’s unique imagery, with astronauts struggling in space as their Shuttle is destroyed by space debris. The sequence was used to sell the movie but also provided the filmmakers with the first inkling of the complex production tasks that they were facing. Since animators are trained to portray weight for realistic on-screen motion, Webber, Solomon and their CGI teams had to fight their natural instincts when depicting objects as mundane as a glove or a teardrop in a weightless environment. NASA video footage was especially helpful as it showed astronauts interacting with everyday objects during space orbit. Also key was Cuarón’s animation brief, which stated that the film should feel like the work of an IMAX documentary crew with the camera as a third “character.” Classical compositions (like a straightforward shot of an actor’s head and shoulders) were avoided; instead, everything was captured to appear more spontaneous and natural, be it tumbling or even upside down. 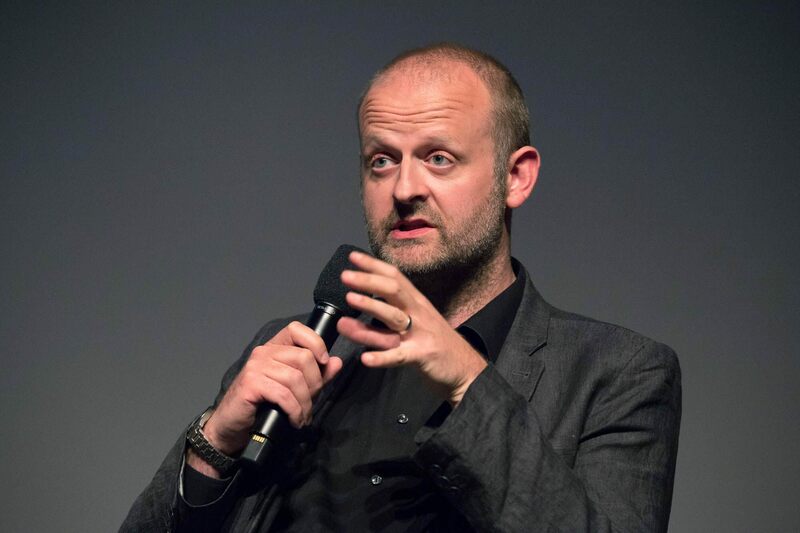 Tim Webber explained that the film had to be made three times: the early previs version (which took years by itself), the live action shooting with the actors, and the postproduction process that combined everything together into a fluid final cut. Some tangible inventions had to be created as well, ranging from a 12 wire rig created to “fly” Sandra Bullock through the space station to modified car assembly robots designed to accommodate the complex demands of camera movement and lighting designs. Cinematographer Emmanuel “Chivo” Lubezki was also vital to the process, with his predisposition to motion sickness helping the team determine when turbulent shots had to be toned down for audiences. The lighting of scenes was extremely elaborate, because lighting on the live actors would have to precisely match the ever-changing lighting in the completely computer-generated environments. Computer-generated “prelight” animation simulated how light would be absorbed or reflected by real-world surfaces. Some of these prelight examples turned out to be strikingly beautiful pieces by themselves, such as the serene, womb-like interlude in which Stone removes her spacesuit. One major innovation used on the film was the lightbox, a structural cube with enormous LED panels (inspired by rock concert displays) containing nearly two million lights. This device allowed a completely convincing environment to be created around an actor, giving the actor a sense of place while also reproducing accurate environmental lighting conditions including the ever-changing position of the sun, Earth and other light sources in a scene. In the lobby before and after the show, audiences members enjoyed a scaled-down working version of the lightbox (including outer space visuals) and a look at the Light Stage 3, built by the USC Institute for Creative Technologies and used for accurate lighting reproduction on actors with an unprecedented capability for color sensitivity. 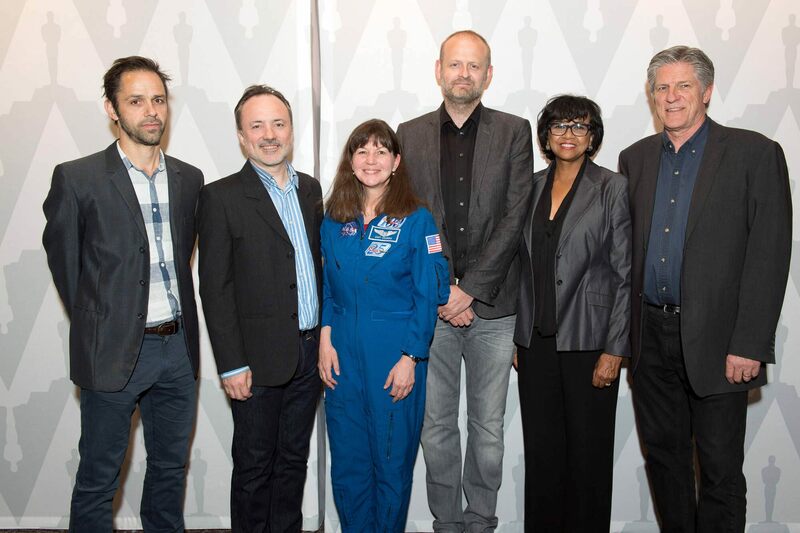 By the end of the evening, it was clear that Gravity turned out to be more than one small step for filmmakers – it was a giant leap toward the future of films. 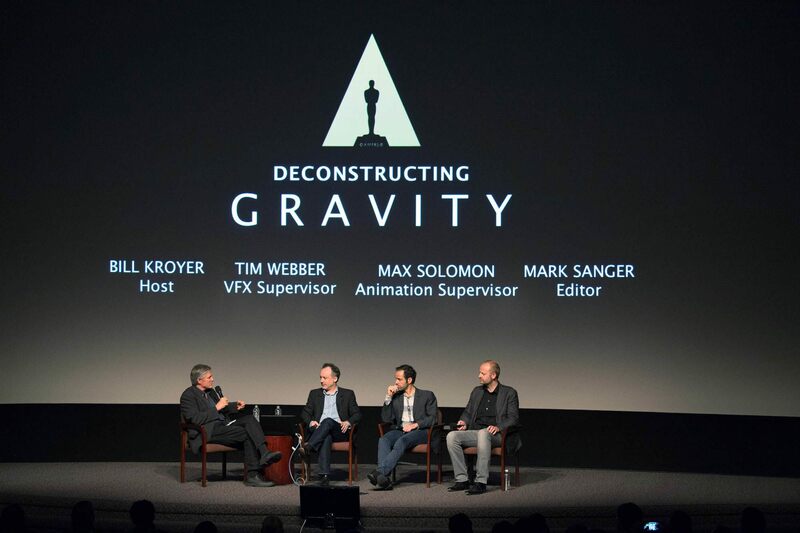 The Academy's Science and Technology Council presented "Deconstructing Gravity" at the Directors Guild of America, on Monday, May 12, 2014.